MS Dhoni has time and again showed plenty of class on and off the field and Saturday the former Indian captain showcased it yet again. 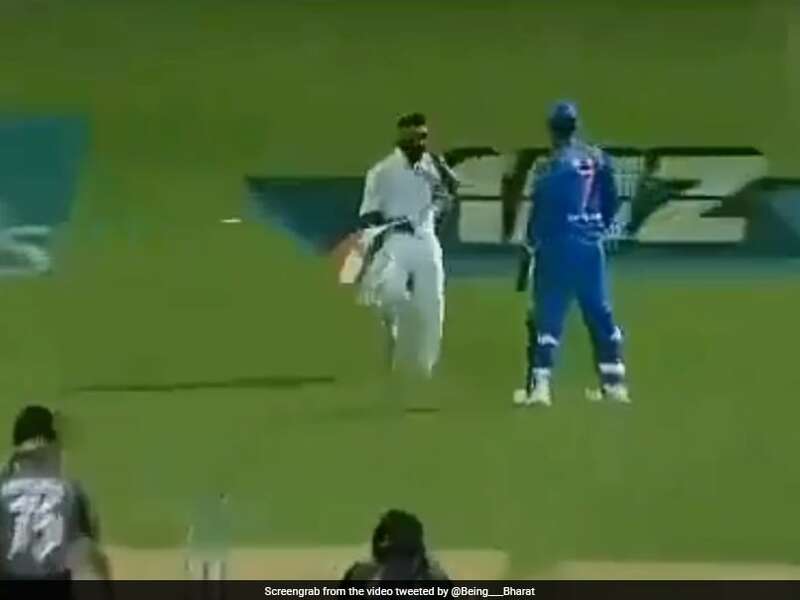 During the India vs New Zealand 3rd T20I, a fan carrying the Indian flag breached security in Hamilton, ran to Dhoni and touched his feet. The 37-year-old saw the Indian flag touching the ground, and quickly took it away from the fan and gave it to a security personnel. Dhoni’s brilliant gesture went viral on Twitter, sending fans into a frenzy. such a patriotic gesture.. just observe.. first thing he bends down and takes the country’s flag from a fan.. just salute his love towards the country’s flag.. When a fan tried to touch feet of Dhoni, he first took the flag from him so that it doesn’t touch the floor.